Following the financial failure of several travel agencies across Canada, Jubilee Travel has had many clients asking how this sort of thing can happen and who are worried about having something similar happen to them. We have written this article because we think it is important that consumers understand the changes in the travel industry in recent years, which we feel have eroded protection for the consumer. 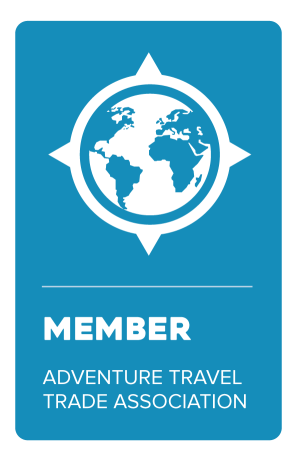 Until recently, the travel industry standard was for travel agents and other travel companies to be members of the IATA – the International Air Transport Association. IATA-Accredited agencies are required to meet IATA’s strict standards of accountability and professionalism. Among other requirements, travel agencies must take training on reservation and ticketing processes, and undergo an apprenticeship period. Meeting financial standards are considered the most important IATA accreditation criteria. IATA evaluates the financial position of an applicant agency using minimum financial ratios standards which test net worth, liquidity and profitability. There are minimum working capital and net worth requirements, among others. To maintain their status, IATA agencies are required to file audited statements within 90 days of their fiscal year end. If they do not meet the financial criteria, they must rectify their financial position or risk losing their accreditation. All of the IATA requirements make it difficult and expensive to retain an IATA accreditation. Therefore many existing travel agencies have dropped their IATA accreditation and many new agencies are not seeking accreditation. The same applies to online travel agencies. A travel agency can operate without IATA certification, but they cannot issue airline tickets and must work with an IATA accredited ‘host agency’. The procedure is that client pays the non-IATA travel agency, which gives the booking and payment to the IATA host agency, which completes the booking and returns the ticket to the non-IATA travel agency. The IATA host agencies typically handle all the back office operations of their non-IATA travel agent and non-IATA agency members. Their services include the handling reconciliation of the non-IATA agencies booking with IATA. These arrangements allow non-IATA agencies to avoid the requirements and costs of IATA accreditation. There has been an explosion of non-IATA travel agencies and agents. TravelWeek, a news service for the travel industry, recently estimated that over 25% of travel agents now work from home supported by a host agency. In addition, many smaller travel agencies are also working through host agencies. Host agencies are accredited IATA agencies. However, there are considerations for you as a consumer if your travel agent or agency is working through a host agency. It means a third party business may be handling the bookings and financial transactions for your booking. Also, that your non-IATA agent or non-IATA agency has not itself met IATA’s strict standards of professionalism or, more importantly, financial stability. Dealing with an IATA accredited travel agency does not guarantee that you won't have problems, but it does give a measure of security that may be missing if you purchase from a non-accredited travel agency, online travel agency or home-based agent. Here are a few key questions that can help you assess the reputability and financial stability of your travel agency and/or the host agency they are working through. The questions apply whether you are booking with a bricks-and-mortar travel agency, an online travel agency or a home-based travel agent. 1) Is the agency accredited by IATA? 2) If it is not IATA accredited, does it work with a third party IATA-accredited host agency and what is the name of that agency? 3) How long has your travel agency been in business? If applicable, what about the IATA host agency they work with? 4) Does the agency carry Professional Liability Insurance, covering errors and omissions liability? If applicable, what about the IATA host agency they work with? 5) What is the BBB rating of your travel agency and, if applicable, of their IATA host agency? Are there any unresolved complaints? 7) How long has the agency’s manager been in their position? 8) What is the agency manager’s travel industry training and experience? 9) Has the travel agent you are working with completed a training program? 10) What experience does the agent have selling similar tours and activities? Do you have other suggestions on how to assess your travel agent? Please be sure to share your ideas with us!